IF you visit the annual pottery market in San Deigo, Mexico, youa��ll find it more like a carnivala��with music, food and entertainment, along with Mexican folk art, traditional textiles and tribal jewellery. And yes, there are pots and tableware, too. We hope the first edition of the Auroville International Pottersa�� Market will reach the same magnitude. 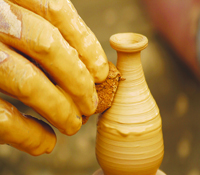 A first of its kind in Auroville, ita��s being organised by potters Ange Peter and Sabrina Srinivas from January 30. The duo promises products using different mediums of clay like terracotta, earthenware, high-fired stoneware, porcelain and slip-ware. The idea for the market was born from a simple discussion about the potters in Auroville.A� a�?There are over 50 potters in Pondicherry and Auroville, thanks to the efforts of Deborah Smith and Ray Meeker of Golden Bridge Pottery. 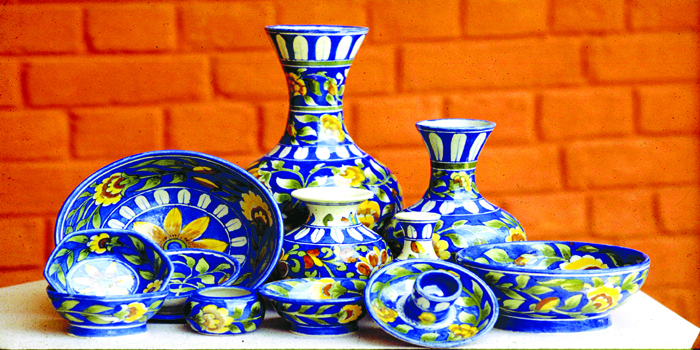 Pondicherry has become one of the few epicentres of studio potters in the country. 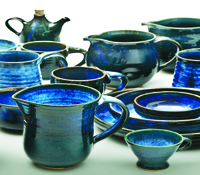 Raya��s courses have set many a potter on the path of studio pottery,a�? says Srinivas. Taking inspiration from pottersa�� markets organised in cities like Baroda, Mumbai, Delhi and Bhopal, the two potters planned their event in Auroville. a�?We believe there is a future for pottersa�� markets as being great resources for potters and lovers of potterya��for exposure and discovery of new talents,a�? says Peter, who plans to make this an annual event. Only practising studio potters and ceramic artistes can exhibit at the market. The duo has three categoriesa��functional ware (which includes pots, plates, bowls, teapots, mugs and more), decorative pieces for the house and,A� experts offering sculptures and artistic works. As of now, the market has around 34A� registrations from cities like Goa, Delhi, Mumbai, Kolkata and Bangalore. a�?We suggest participants book their accommodations in advance as Auroville will be extra crowded on those days,a�? shares Srinivas. Visitors can attend the market and have food at the cafes in Auroville. For first timers and enthusiasts, there will be a stall offering hands on clay modelling. As for the organisers, Peter is an expert in functional wear, Haiyu slip-ware (a rare technique used by ceramic artistes) and has also made some sculptures. On the other hand, Srinivas concentrates on stoneware sculptures and is a painter, too. The Auroville International Pottersa�� Market will be held at the Visitora��s Centre. It will be outdoors, under the gazebos. The price ceiling for the market is Rs.4,000. On January 30, 31 and February 1. Participation fee at `3,000. Entry free for visitors.